Wonderlic Personnel Test (WPT) claims to measure your general intelligence. However, in fact, it measures your verbal, numerical and spatial capabilities. 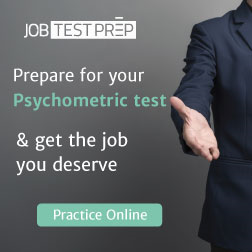 This highly culture based test is one of the most widely used psychological instruments all over the world. It attempts to screen the candidates for specific jobs within the shortest possible time. It may be termed as a quick IQ test. The Wonderlic test was invented in 1939 by David Wonderlic. He was a student of psychology and wanted to measure the intelligence of his teammates. However, due to its brevity and quickness, it became fashionable very soon. More than 2.5 million people go through it annually to clinch their applied jobs. More than 100 million people have already used it either to seek some position or to analyze their strengths and weaknesses. Like other psychological instruments, Wonderlic personnel IQ test lacks substantial evidence to prove its validity. However, it is available in 12 different languages and is often applied at college, entry-level jobs and a team making efforts. Most of the government and private organizations have made it an integral part of their psychological assessment sessions. General intelligence quotient tests like WAIS-IV and Alfred Binet IQ test scales have set a score of 100 for average intelligence. However, Wonderlic personnel test has set score of 21 for average people. Wonderlic personal test is a time-limited session which you are required to complete within 12 minutes. You may finish the entire questionnaire or attempt a few of them, but you can’t continue working on it after the 12th minute. The free Wonderlic test may require you even less time. It is the reason that this is a quick IQ test. The Wonderlic Personnel Test is a short IQ test as well. It is comprised of merely 50 questions. Some psychologists view it a shorter version of main intelligence quotient tests. The free Wonderlic Personnel test samples are even shorter. Like other IQ tests, the Wonderlic personnel IQ test contains easy questions in the beginning. However, as you go on, the level of difficulty starts rising. The last ten questions or so may be the most difficult ones. The Wonderlic Personnel Test IQ doesn’t penalize you for selecting the wrong choices. You should read an item carefully and try to find out your answer without looking at the options. If you fail to find a correct answer, then you should ignore the wrong choices straightforwardly. You shall get a couple of options remaining. Try to make your best choice instead of skipping that. Even if your answer is wrong, you are not going to face negative marking. The Wonderlic personal test focuses upon your verbal, numerical and spatial capabilities. However, it does not allow any aiding tools such as calculators and dictionaries. You are required to read the questionnaire and write answers with pencil on the answer sheet. In the case of online Wonderlic test, you will have to use your mouse. In some instances, printable IQ tests are also available. The Wonderlic Personnel IQ Test focuses upon your verbal, numerical and spatial capabilities. 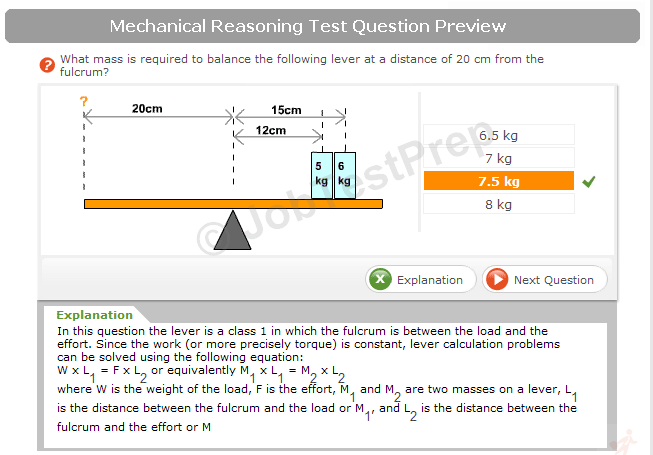 However, the questions may take different angles depending on the ‘intelligence’ of the question setters. 1- You may be given specific words and be required to compare each of them to make a definite right choice from the multiple choice answers. 2- You may find some disarranged sentences and be required to arrange them to find out a logical solution. 3- You may be asked to identify parallelism in sentences. 4- You may even find some story demanding your critical reasoning to find out the correct answer. 1- You may find specific questions with decimals, fractions, and other mathematical concepts. 2- You may be given a numerical series with a certain pattern. You may be required to find out the next option following the given pattern. 3- You may find some numbers and be asked to compare them. 1- You may be asked to follow specific directions and reach to the right destination imaginatively. 2- You may be required to analyze some geometrical shapes to find out the needed answer. This area of Wonderlic personnel test is not highlighted. It tries to measure your capability by following the simple instructions. This portion starts much earlier. You are required to follow the instructions about the test in letter and spirit. Then you are required to follow simple instructions given to attempt every item. It is presumed that if you can’t follow Wonderlic personal test simple instructions, you can’t perform well in real life situations. The Wonderlic Personnel Test has been holding the field since the 1930s. There are certain limitations and a lot of criticism upon its design, conduct, and claims. But it is still trendy and in use psychological instrument. If cultural bases are removed, and the IQ test score meanings are rationalized with modern concepts of intelligence, it can be more helpful to screen applicants. How to Determine Reliability of a Free Wonderlic Test? We find value in differences between learning, interpreting and overall opinions. Please share your thoughts freely about this topic, but always remain respectful. You can preview and edit on the next page before your submission is sent in. You will also be informed about this site's privacy policies. Thank you for your contributions. I have experienced of taking the wonderlic test a couple of months back. It was wonderful as it calculated my capabilities within a few minutes.